Moab is the land where Ruth lived. She married one of the sons of Elimelech and Naomi, before following her mother-in-law to Bethlehem. At the time Judah was experiencing a severe famine, but Moab was apparently receiving more rainfall. This may be explained by the elevated plateau that Moab is on and/or the response of the Lord to the Judeans’ faithlessness during the days of the Judges. 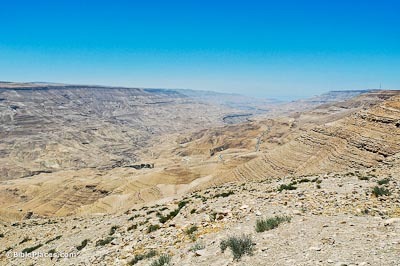 The Arnon is a two-mile-wide valley that divides the land between the Israelite tribes to the north and the land of Moab to the south (Num 21:13; Deut 3:16). 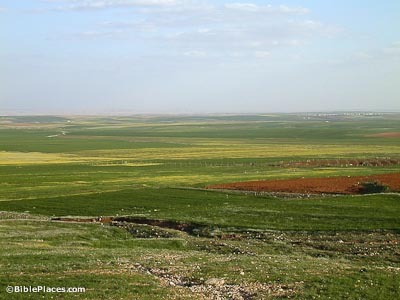 Ancient Moabites would dispute this border, and sometimes in biblical history the Moabites crossed the Arnon and captured land of the tribe of Gad on the Medeba Plateau. The Arnon is mentioned many times in Scripture because of its geographical prominence. 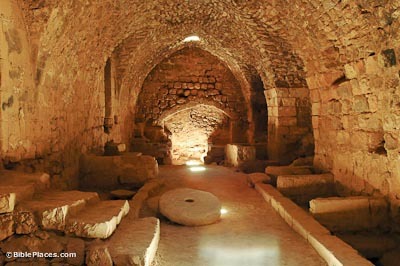 Known in the Bible as Kir, Kir Moab, Kir-Heres(eth), and Hereseth, this site (modern Kerak) was the capital city of Moab. It is situated on an isolated hilltop, with a view in all directions. The Crusaders recognized the defensible aspect of the site and in AD 1140 they made Kerak one of their strongest fortresses in the Middle East. 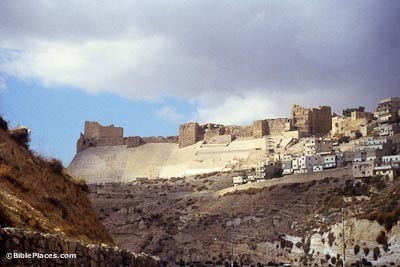 The remains of the Crusader castle are shown here. Altogether the castle has seven levels. It was built in the shape of an A, with the narrow tip at the southern end. A moat protects the castle on its approachable northern side. The moat was once 90 feet (27 m) deep but is mostly filled in today. Pictured here is the kitchen which contained an olive press and a large brick oven (behind the photographer). The modern town of er-Rabbah preserves the ancient name of Rabbah Moab. 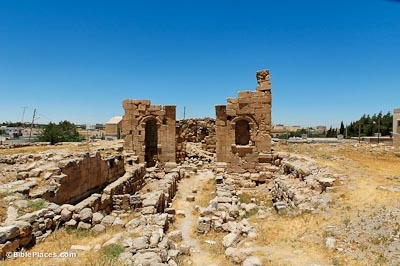 In the Roman and Byzantine period, the city was known as Areopolis (City of [the god] Mars). According to an inscription, this Roman temple was dedicated to the emperors Diocletian and Maximian, who ruled jointly from AD 286-305. Located about 6 miles (10 km) south of the Arnon Valley, Balu is the largest Iron Age site in the area. 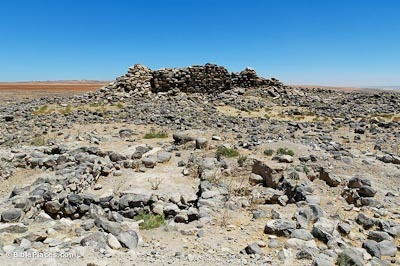 Part of the kingdom of Moab in the Iron II period, this site was inhabited from the Early Bronze period to the Mamluk period. Interest in the site peaked after the discovery of the Stela of Balu in 1930. 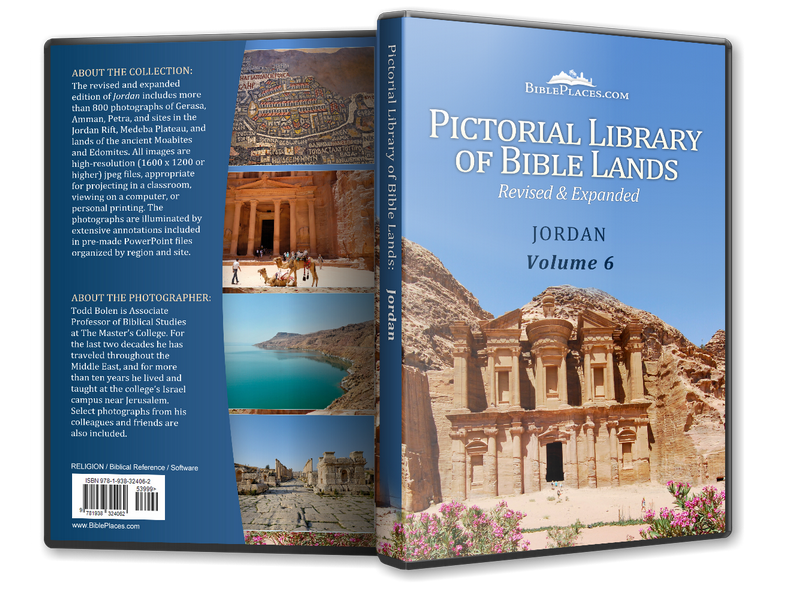 It is possible that the biblical “City of Moab” (“Ar of Moab”) was located here (Num 21:28; Isa 15:1).